Valentine's Day is one of the most highly anticipated holidays of the yearCouples around the world show their love on this day by exchanging gifts, and quite often, flowers. If you're in Canada, follow these steps to ensure that your flowers arrive on February 14, and make it a V-Day to remember in 2014! 1. Log on to bloomex.ca. 2. Browse through our selection of great flower and gift ideas. 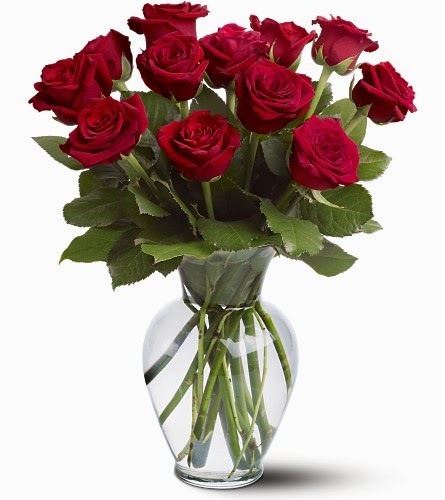 We have a temporary section specifically devoted to Valentine's Flowers, and also a page listing some of the thrifty money-saving specials featuring a variety of roses. 4. When you're all set, click the button reading 'Check Out.' You'll be asked to register your information as well as the delivery address. Double-check to make sure that the address information is filled out correctly to ensure that your order arrives as intended. You'll be prompted to select the delivery date -- enter February 14 (or February 13, for a bit of a discount!). 5. Enter your payment order and click 'Submit.' You'll be brought to a confirmation page and also receive an email confirmation that your order has been placed. 6. You're done. Your flowers will be on their way. You can also contact our service agents at any time by dialing 1-888-912-5666. Our friendly staff is standing by to make sure that this is the best Valentine's Day ever! Valentine's Day is one of the most highly anticipated holidays of the year. Couples around the world show their love on this day by exchanging gifts, and quite often, flowers.